ATLANTA — Florida football closed out its 2018 SEC media day appearance with the unveiling of its new Jumpman uniforms for the 2018 season. Three new kits were displayed during a Florida rally that was open to fans and media at Atlanta’s World Congress Center Tuesday night — home blues, away whites and orange alternates. 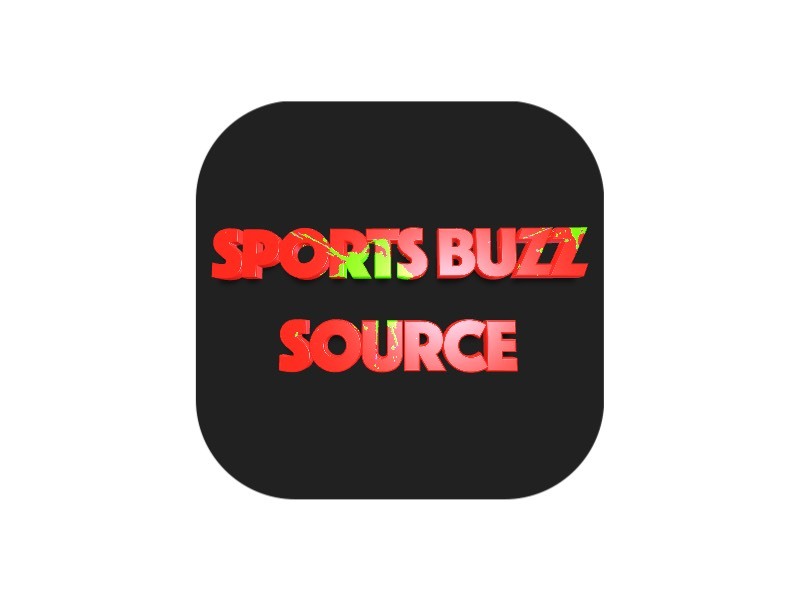 The Gators became the fourth college football program to switch over to Jordan Brand, and the partnership will extend toward the school’s men’s and women’s basketball programs as well. On the surface, not much appeared to change with the Gators’ three uniform combos — other than the logo switch from a Nike Swoosh to the iconic Jordan insigna. No new colors were introduced, and the jerseys’ number designs remain constant. 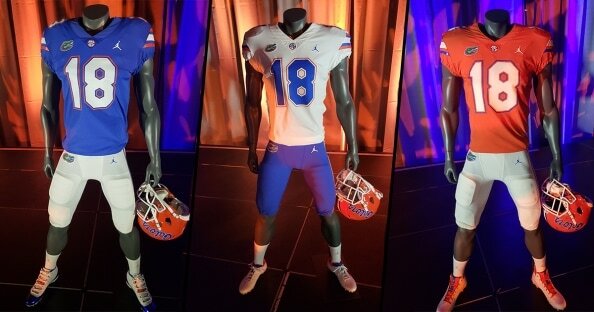 The displayed uniforms included pairings of a blue jersey with white pants, white jersey with blue pants, and orange jersey with white pants. All three were packaged with Florida’s primary orange helmet with ‘Gators’ written in script across both sides. The absence of Florida’s past white alternate helmet may signal a minor change to the Gators’ weekly get-up. “When we talk about the Gator standard and we talk about excellence, the opportunity for us to team up with an iconic brand like Jumpman — when you have that opportunity, it’s such a special day,” new Florida coach Dan Mullen said Tuesday night. At least four former Gators were in attendance for Tuesday’s event including current Atlanta Falcons cornerback Brian Poole and former NFL receiver Chris Doering. They joined Mullen and the Florida spirit squad on stage to admire the new uniforms and hype up fans. The unveiling event also included a display of new team-issued Jordan and Nike sneakers with Florida’s custom blue and orange colors. Mullen wore his own pair of custom Jordan 4 Levi editions throughout Tuesday’s media day events and drew rave reviews.
.@CoachDanMullen is swagged out for #SECMD18! Count senior defensive lineman Cece Jefferson as one of the current student-athletes who are excited to make the switch over to the brand made famous by basketball legend Michael Jordan. “I’m excited, the team’s excited. We’re just ready to put them on in the Swamp and see if we can jump like (Jordan),” Jefferson said.